In 1984 the BMW M535i started off the M5 story. With an engine capacity of 3.5 litres it achieved 218hp and 310Nm, whilst delivering the 0 to 62mph sprint in 7.2 seconds. 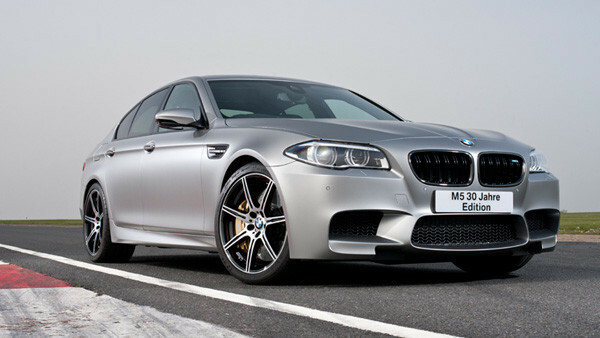 Now in its fifth generation, to celebrate 30 years of the BMW M5 the M5 30 Jahre Edition has been created. 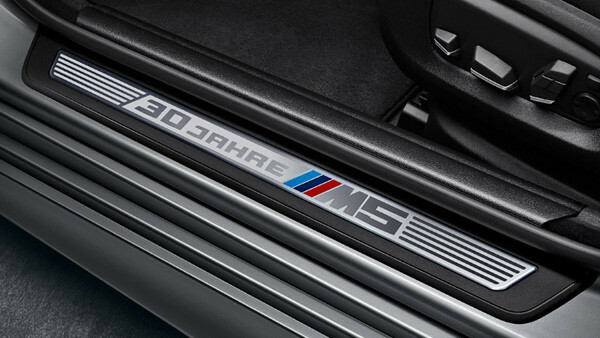 With 300 units being produced worldwide and just 30 of these being destined for the UK, the M5 30 Jahre Edition is poised to become a collectors’ item. 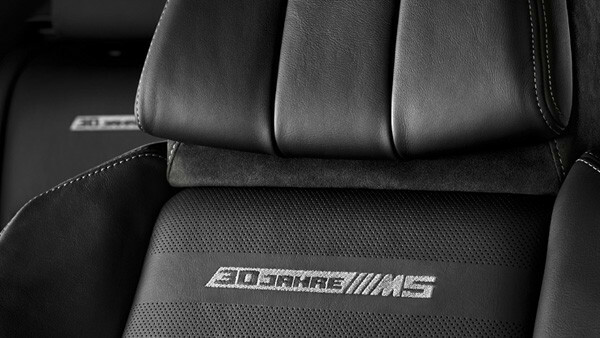 Featuring the largest power output of any production BMW at 600hp (40hp more than the standard M5), the M5 30 Jahre Edition achieves 0 to 62mph in just 3.9 seconds, which is also the fastest time of any production BMW car. 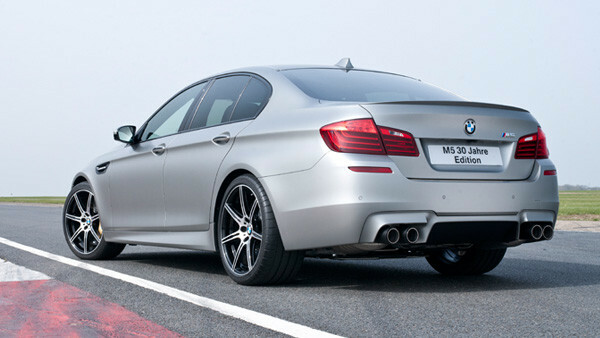 Additional BMW M5 30 Jahre Edition standard features. 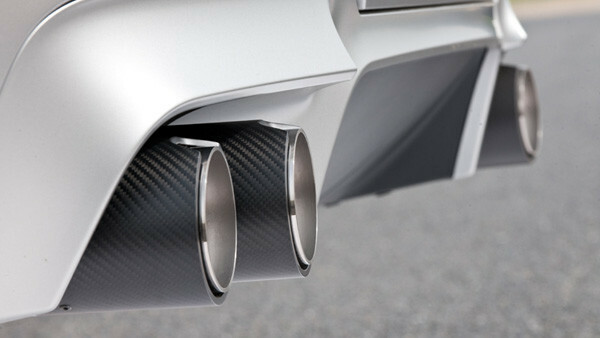 Developed in collaboration between BMW and Akrapovic, pictured above is a lightweight sport exhaust system made entirely from Titanium produces a rich, powerful sound to amplify the characteristic M TwinPower Turbo V8 sound. 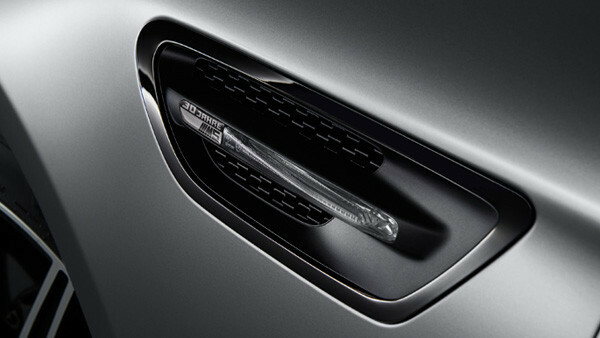 The 92 mm tailpipes made from polished Titanium with the M logo create an unmistakable appearance. 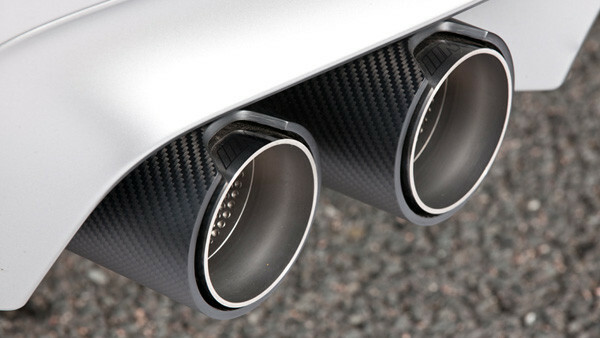 Alternatively 95 mm tailpipe finishers in Carbon-fibre can be fitted. 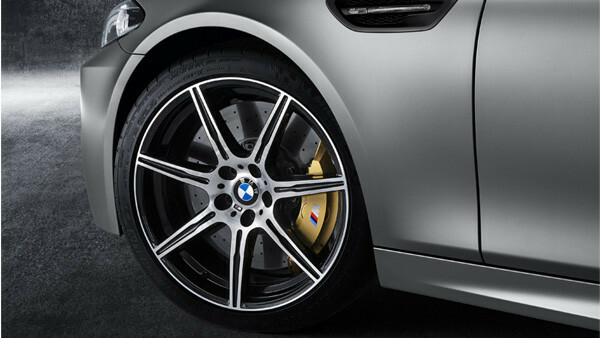 Exclusively to the M5 30 Jahre Edition the M Performance exhaust system can be fully fitted with the Titanium tailpipe finishers or Carbon-fibre tailpipe finishers at an additional cost. Author: Tim Fathers – Courtesy of BMW UK.